SenzaGen has just completed a share issue to accelerate the company’s rapidly growing revenues, scale up the sales organization, complete ongoing validation processes and develop new tests in the GARD portfolio. The interest has been overwhelming which is why the Company, at an Extraordinary General Meeting on Monday, October 5, 2015 decided to extend the offer from MSEK 25 to 44. Vator Securities acted financial advisor regarding the share issue. -The interest regarding our share issue has exceeded all expectations. It is an acknowledgment of the superiority of SenzaGens test, and the need for animal free allergy tests in the market, says Anki Malmborg Hager, CEO at SenzaGen. With their base at Medicon Village in Lund, SenzaGen develops and implements animal free allergy tests of chemicals and proteins, especially for the cosmetic and pharmaceutical industry. 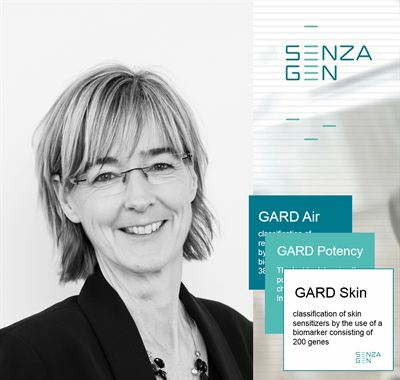 SenzaGen’s test GARD (Genomic Allergen Rapid Detection) is based on more than 15 years of research and measures significantly more parameters than existing tests on the market. It makes GARD a much safer and more effective test than other options. GARD eliminates the need for animal testing and enables customers to develop and provide safer consumer products and to offer their employees a better working environment. SenzaGen’s original ambition was to bring in MSEK 25. As a result of the great interest in the Company, it was decided at an Extraordinary General Meeting on Monday, October 5, 2015 to increase the share issue to MSEK 44, even if the interest was much higher. The proceeds will primarily finance the scaling up of the sales organization, validation process and the development of new tests in the GARD portfolio. In addition to the financing and development of the operational business, SenzaGen will also aim at listing the company on First North during 2017. -As the interest for our GARD products is growing, we are also aiming at listing the company on First North in order to facilitate and finance the continued expansion and development internationally, says Anki Malmborg Hager. Vator Securities acted financial advisor. Under new EU legislation, a total ban of animal testing in cosmetics development has been issued. Even before the ban, it was mandatory for chemical producers to make use of alternative test methods instead of animal testing if satisfactory methods were available. The regulatory pressure gives SenzaGen very good conditions for a rapid market penetration. Out of the about 10.000 molecules that are produced in drug-development today, usually only one is finally approved. This results in significant costs that do not lead to revenue. One of the reasons is that drug projects often fail because the drug has subsequently proved to be toxic in humans. At that stage, a lot of capital has already been invested in several years of lab and animal studies. Therefore, the pharmaceutical industry is looking for in vitro tests earlier in the process, which can show whether a molecule affects the human immune system negatively. Within SenzaGen’s two main areas (skin sensitization and respiratory allergies), the company estimates that over 200 000 tests are conducted annually in the pharmaceutical industry with a market value of SEK 9.2 billion. The percentage of in vitro tests in the pharmaceutical industry in for example Great Britain has since 2000 increased from 2.4 percent to 21.5 percent in 2013.